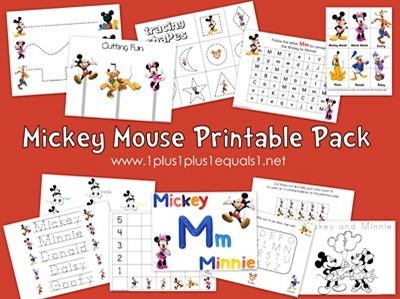 Our Animal ABCs unit this week is M for Mouse, and there is one special mouse that Ladybug loves, so I made her a Mickey Mouse Printable Pack! I created pages she would love, I hope many of your tots enjoy them too! This pack would be good for tots, preschoolers, and even some kindergartners! You can also now use my navigational menu up at the top of the blog. 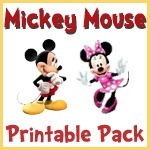 Find direct links to all Tot Packs, Preschool Packs, and Kindergarten Packs we have! Hover over the main group, then let the menu drop down, and then out to the right again!